Fist pumps? Really, to commemorate 9/11 tragedy? I’ve noted this before, but it came back in a big way this week as Donald J. Trump sought to commemorate the worst attack on U.S. soil in our nation’s history. 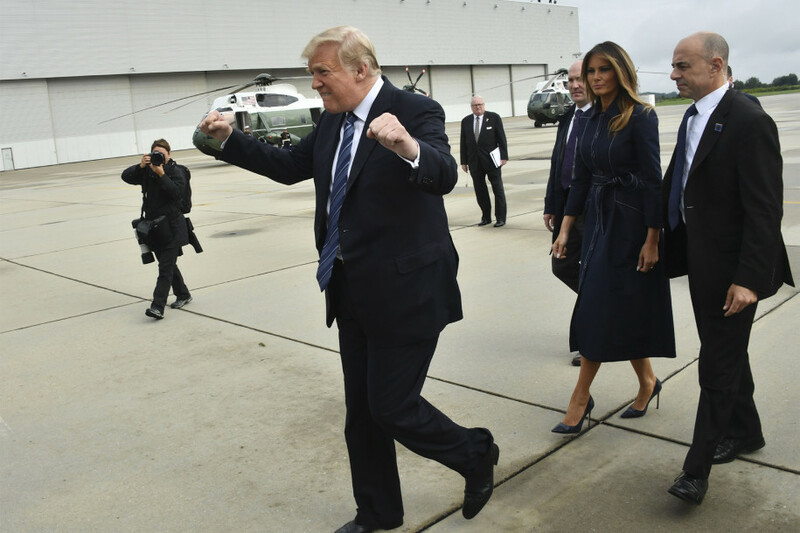 The president and first lady Melania Trump flew to Shanksville, Pa., to honor the memory of the airline passengers who battled the terrorists who hijacked the jetliners and flew them into the World Trade Center and the Pentagon. United Flight 93 passengers fought the terrorists and crashed the plane in a field, saving possibly hundreds more lives. It’s a tragic event. It is worthy of somber, quiet and dignified commemoration. The president’s arrival? It featured fist pumps and outward behavior that reminded observers of a political rally. Hmm. I don’t quite know how to react to all of that. Fist pumps at this event? It’s been commented on since he became president that Donald Trump seems to lack the gene that compels presidents to serve as pastor in chief, comforter in chief. Trump doesn’t have it. He doesn’t rise to the occasion. His first and final instinct is to treat these kinds of events as political rallies. Yes, he spoke seriously and somberly about the heroism exhibited on 9/11 aboard United Flight 93. However, that was a moment in time. The event should have been treated the way one would expect a president to treat it: with solemnity and sadness. It just makes me wonder whether this man, the president, is capable of comforting a nation in mourning. Previous PostDemocrats looking for an actual victory in TexasNext PostWhat’s with the ‘shekels’ reference, Eric?